5 replacement coil heads for the Aspire Breeze kit and Aspire Breeze 2. These replacement Aspire Breeze coils, designed for use with the Aspire Breeze Kit and Aspire Breeze 2, feature an organic cotton wick, and are rated at 0.6ohms and 1.2ohms. Featuring the new U-Tech technology, which allows vapor to pass through the coil twice, these Aspire Breeze coils guarantee you high-definition flavour and great vapour production. Please note: despite the design similarities with the Nautilus X coils, they are not interchangeable. Is your old Aspire Breeze 2 coil running out of steam? Swap out the old coil in your Breeze 2 with this replacement coil 5-pack. These coils have a resistance rating of 1 ohm for optimal nicotine salt juice vaporization. These replacement coils will keep your Aspire Breeze 2 generating intense flavor and consistent thick vapor. Lost or broken pod for your Aspire Breeze 2? Grab the Aspire Breeze 2 Replacement Pod! It comes with a pre-installed 0.6ohm coil for your convenience and features the same 3.0ml vape juice capacity as the one that comes in the Aspire Breeze 2 AIO Kit. 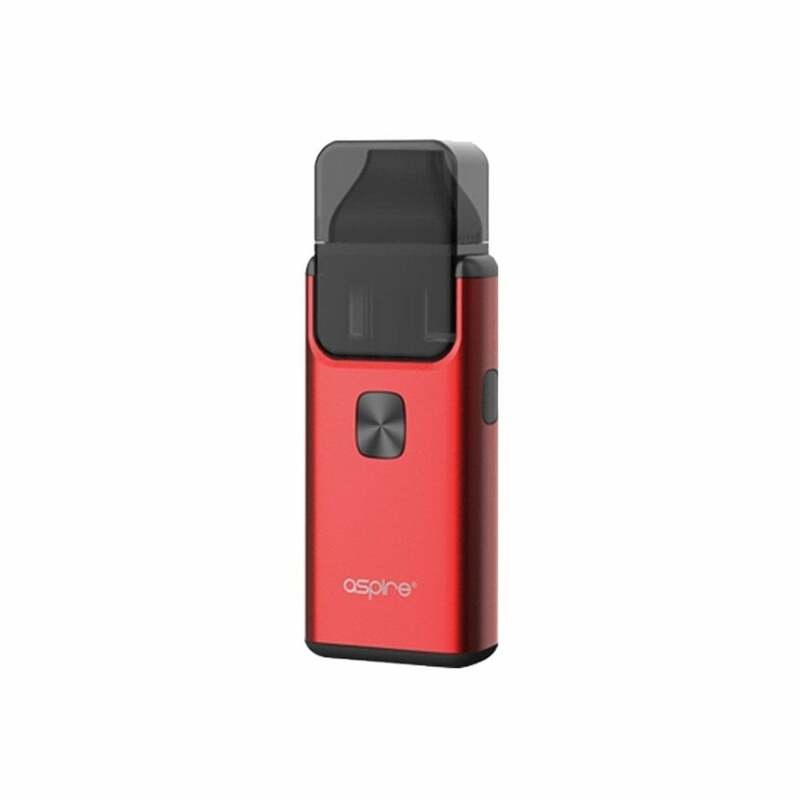 The Aspire Breeze 2 is an updated version of Aspire’s popular Breeze Kit with an all-in-one design, pod-style tank system and coming with a range of all-new features. Aspire’s Breeze 2 AIO Kit is just as compact and ergonomic as before, but now features a new filling system that adds to the pod mod feel of the kit. To refill your Breeze 2 pod, squeeze the pod release buttons on each side of the device to remove the pod, then take out the silicon plug from the base of the pod. The tank holds 3ml vape juice, and gives you a choice between two coils: one 0.6ohm U-tech coil for sub-ohm vaping on the go and a brand new 1.0ohm U-tech coil designed for nicotine salt juice specifically. This adds even more versatility to the Breeze 2: whether you’re interested in high-VG juice or a stealthy nic salt vape on the move, this kit has you covered. A new juice window has been added to the side of your pod, so you can easily see how much vape juice is left at all times. The Aspire Breeze 2 feels decidedly premium, with an aluminum alloy body that fits comfortably in the hand. Beneath the metallic exterior, the kit is even more impressive; its 1000mAh battery offers you great battery life while the addition of an adjustable airflow ring gives you total control over your draw. Remove the mouthpiece and twist the metal ring to choose between a tight or airy draw: tight is better for nicotine salts, airy is better for high-VG vape juice. If you liked the Aspire Breeze, you’ll love the Aspire Breeze 2. The Breeze 2 is a portable yet powerful device that’s simple to use, versatile and delivers fantastic flavor whether you’re using nic salts or high-VG juices. Looking for something with a bit more battery? Check out the 2600mAh Aspire Tigon. What's the difference between a vape kit, a vape pen, an all-in-one and a pod mod? Names are often manufacturer-led, but in general, there's not really any difference between a vape pen and a vape kit, except a vape pen tends to look more like a pen! A pod mod tends to be the more modern version of the above, but whereas vape kits and vape pens have clearomizer tanks that need refilling, pod mods have pods (capsules) that are pre-filled (either by the user, or as they come) and are taken off and replaced as and when needed. All-In-One (AIO) kits are similar to vape pens but rather than using removable tanks, the battery and tank is one combined unit. This was my second vape after a juul. easy to use, doesn't leak, small but mighty. For someone who wants a simple vape this is it. I smoked cigarettes for 6 years and this got me to stop smoking. If you want a super easy drag just like a cigarette, using the 1.0 ohm coil with nic salts is perfect. the coils last well over 3 weeks, easy to refill, and the battery is incredible. Easily lasts a day and half if not two. This is the only product i would recommend to anyone who is considering quitting smoking. Love the red, it has satin finish, unlike the rainbow which is high gloss and looks messy all the time with the fingerprints and natural oils from the hand. Works great. NOTE the replacement pods only come with the 0.6~u will need to order the 1.0/1.2 separately for salts use. Worked ok until one of the tiny clips that holds the pod in place broke, no way to fix and trashes the entire device. Terrible design, super fragile part and non-replaceable. Now stuck with 3 pods that have no use. Replaced it with an Aspire PockEx, total trash. Now have an Aspire Tigon and love love love it. Use 1.2 ohm with Nic salts. Don't waste your money on the breeze, Tigon is so worth the extra few bucks. I love this but there is a design flaw which makes the parts of the machine that click the pod into place break easily. Fragile. I had to buy a new one after my old one broke. I got a protective silicone skin on eBay for it this time so it will be more sturdy. Dropping it will break it without a proper case. Other than that it’s the best vape I’ve tried. This is a great pod mod vapor. I needed something that can give me the option to vape free base or salt nic. I like the fact that it holds something like 3ml of juice. So far I've used it with the 1 ohm coil with nic salts and it hits great. I also like the fact that you can adjust the airflow. The device is built well and does not leak. I highly recommend! Love this little guy. I'm using it with 1.0 coil and 3% 50/50 regular juice and it performs flawlessly - no leaks, no dry hits, plenty of vapor, plenty of flavor, long battery life, fast charging. What's not to like?? My all time favorite pod system. Way better than the AIO. So much better looking and more sturdy. Plus the design is much smarter. And I prefer the coils..made with organic cotton. Can’t go wrong with this for the price. I highly recommend. Super simple to use and refill. Works with high VG juices. Classy and sleek. Great for novice and seasoned vape connoisseurs alike. 10 stars! Amazing product! Does take a bit for the coil to fully soak in the flavor of your juice but once it does it’s perfect! Best stealth device I have found. Nice packaging, battery last all day so I don’t have to carry a charging cord to work, using the 1.0 coil with Nic Salts and it works great. Good, I can give 3.5 point of 5. Because hard to fill up with spoid type liquid, battery is good last long for a day or little more, easy to charge, only thing is describe more easier..
it does exactly what I was hoping! pulls very well and is an easy as pie setup! now just to find a good menthol tobacco nic salt ! My favorite nic salts device so far. Would have given 5 stars, but the pod part fits a little loose. Haven’t had it long enough to know if this will become a problem. Could just be how they are. Great vape for the price. One of the coils came burnt and the mouthpiece was slightly chipped but overall loved it! I really like Aspire products. This device produces good flavor, and nice clouds, the only complaint I have is that, the little rubber lid constantly gets in the way when snapping closed. When the Breeze 2 is working properly I love it, but I’ve just had to many issues with the coils to rate it any higher. It feels great in my hand, has excellent battery life and pod capacity. The first 2.5 days it worked like a champ, then halfway through day 3 the coil flooded. So I tried all the tricks I could find like flinging it towards the ground, removing the coil, putting a paper towel over the airflow then taking some pulls. Nothing worked so I put in a new coil without priming, just letting it set for 10 minutes. Worked like a champ for a few days until the coil burnt. For my next coil I decided to prime it and it worked great for a couple days then flooded. So I took apart the pod cleaned everything, removed the bottom connector of the coil and took some drags to get out the excess juice and let every dry overnight. Now it’s working great again. It’s just been frustrating because as I said earlier I love this device when it’s working, but I’ve just had too many issues with coils. I still prefer my Suorin Air over the Breeze 2, it’s just been way more reliable. The Breeze 2 is easy to use and convenient Battery life is not bad either easy to fill and im lovin it! I like the overall design. The fact that it's so easy to fill the tank is a huge plus. It does have a lot more flavor than the Breeze 1, even on wide open. But as far as vapor production, the breeze 1 has it beat. The breeze 2 also gets more spitback than the 1 did. Overall it's a great all-in-one. The price was perfect as well.